During today's Smash Bros. Ultimate Direct, one of the most mind-boggling additions to the game was revealed: the Spirit system. The story goes that many video game characters have lost their forms and become Spirits, which can be used as power-ups for the player's fighter. These Spirits come from a dazzling array of different franchises, including Zelda, Metroid, Metal Gear, Castlevania, Xenoblade and even the Japanese DS exclusive Ouendan; basically, any series which is represented by a character in Smash already will have more than a few Spirit characters included. This isn't just fan service, however; Spirits can make all the difference in battle. Players can equip primary and support spirits to power-up or gain additional abilities, such as improved speed, better hitting power or even increased defence. By mixing and matching the Spirits you have equipped, you can unlock new abilities as well as cool features which bring even more character to the world of Smash. The main way to acquire spirits is to win Spirit Battles; if you're successful, you get to take part in a roulette challenge to acquire that spirit. Even if you don't win this, the next time you meet a fighter with that Spirit, it will be slightly easier to capture them. Spirits grow in power the more you use them, too. You can level them up during normal play to gain extra power, and some Spirits even evolve over time into different forms. 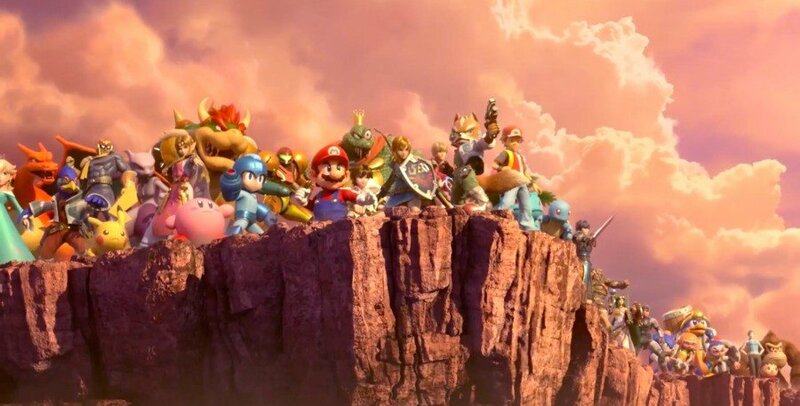 This is clearly a massive, massive part of the new Smash outing and we dread to think how long it has taken for the team behind it to develop and balance. Let us know what you think by posting a comment. It's genuinely so complicated, but it seems like it could really work. I love it! It's so interesting. I like how they are finding ways to bring old characters and some new ones to the light. This is the only thing that keeps coming to my mind. Just to confirm, as I'm at work and had to watch on one of my screens with my boss next to me... Spirits are for Spirits mode only? Can't be taken online? Cool, I'm interested it trying it out. I think the competitive community has already enough to rage at Sakurai for the removal of For Glory already as-is. What a rollercoaster of emotions. I was devastated by the removal of trophies and disappointed by the new characters, before finally acknowledging that the mode looks pretty fun, and then completely elated by the reveal of World of Light! Sakurai, I swear you'll be the death of me. I just hope the Stickers, er, Spirits include some trivia about the characters like trophies did. I used to read all of them for hours at a time in previous games so this is a bit disappointing if not. I was sold on the mode........AFTER the end reveal. Why wasn't the initial explanation paired with it as with typical Direct explanations? But hey, new story! New hype trailer! Good stuff once all that's sunk in. I got goose bumps watching this. I wanted boss fights and it looks like it's going to deliver. @AlexSora89 But can't you just emulate For Glory with the new matchmaking system anyway? All the options for it seemed to be there. Nothing like an overly complicated mechanic to make me lose interest in a game. I hated the version of this in Smash 4WiiU/3DS. The mix and match parts. I never used it past the first time because it was overwhelmingly complicated. Then you have people who are so incredibly super powered that you couldn't win at all. Good for them, bad for me. Rather have a better developed For Glory mode. Can't believe they cut it. I have no hope for the new match making system. I wish he’d addressed the pro community by saying something like “I hope you will give it a shot. Because it could add even more balance, depth, and flexibility to the game”. I think it’s annoying how the pro community refuses to adapt and use things like Smash Balls which are really cool and fun to watch. Wow, he's been really careful to make the directs gradually go up in quality. We started off debating whether this would be a new game or just a Smash 4 deluxe port, and now we have an adventure mode. I must confess though, I am mildly disappointed that Super Smash Bros. Ultimate won't be able to get the Brentalfloss treatment. Trophies were sacrificed for this. Spirits looks interesting and like it could add some more depth and even some RPG elements to the game. I can see players sinking tons of hours in this mode. And World of Light, well that has turned the whole thing up a notch. I hope it has more cutscenes like this and the character reveals as they're great. I honestly could not care less about trophies so I'm completely fine with them being removed if it allows for new characters and modes such as these. I find Spirits mode pretty confusing, is this - as the ending of the Direct seems to imply - a real story mode or just new mechanics to fight with locally? I mean, they showed some world maps, but not sure of it counts as a fully fledged 'real' story mode. This actually was the coolest part of the Direct for me. The last two characters were kind of meh, and Spirits mode looks too complicated to be fun. The production values of the cinematic opening were amazing and I hope the remainder of the adventure mode has scenes like that. I really didn't mind the removal of trophies as cool as they were the instant sakurai said "Trophies are really hard to develop". Given the massive content that comes from this game I absolutely don't mind, the depth of these spirits really makes me more excited to grind them since they come with different rarities and abilities and so much more rather than a trophy with a brief description that I'll forget about later. At least Shantae has SOME sort of representation. Hopefully they turn her into a full downloadable character, though. I'll buy here and nobody else. But, man, that last reveal really saved an otherwise disappointing Direct. I'm bummed that Issac isn't a playable character and completely gutted that the trophies are gone. Spirit mode looks to make up for the removal of trophies seeing how they're implemented. Doesn't completely make me feel better from the removal of trophies from the surface level but I like how it's implemented. Seems too complicated to be fun. Sakurai is undoubtedly a creative genius, but sometimes his ideas are too ambitious to be enjoyable. He lampshaded it in the Direct, with a brief pause, then asking the audience if he's gonna get a break. It's not our fault if there's never enough of a good thing, Sakurai. I dunno, I think Smashboards is going to have a field day with it before figuring it out for today. Don't know if I like this replacing Trophies.. but World of Light mode looks super fun. Trophies just takes a lot of time to design, like Sakurai mentioned. The Spirits system feels more unique. I don't see what the problem is. Kind of reminds me of BitF's goodbye strip (not saying anybody stole from anybody, just that Matthew figured out what Sakurai was trying to do from the get go). Kirby has some serious plot armor. Yup, this sounds complicated. I'm not excited about it since it looks like the events in Smash 4 (terrible), but I guess some people will find this fun. Good thing they added the option to use the recomended sets so you can jump right into the matches without making you go through all of your spirits to find the best. It's a shame they've dropped Trophies for this game, but I'm not surprised. The amount of effort it takes to model and texture one good-looking 3D character model is hard enough. The idea of the 'Spirits' system helps make up for the fan service while cutting down a tremendous amount of time and energy for the developing team. Did anyone get a screenshot of which spirits they revealed in the trailer? @Piritiup main aspects? Are you serious? Trophies are/were a novelty thing with a little strip of "history" on it. The main aspects are all gameplay related. far too complicated, and the longer it went on the more disinterested i got. I appreciate some will enjoy it but not for me. There we have it, people either like it or not. I think this was real ambitious and will be a lot of fun. We are also getting more dlc like in the previous smash game. @ReaderRagfish not you alone. But it's one of my top favourite movies in existence, so I'm biased. They didn't forget about Fatal Frame V, the main character of that game is an assist trophy in Smash Ultimate so I hope that is a sign that Fatal Frame IV & V remastered are incoming to Switch soon. At first it didn't seem like Spirits was a follow up to Subspace Emissary, but now it seems like it sort of is? I imagine they won't have a ton of gut scenes like Subspace did, which is unfortunate those were fantastic. You can't deny that Spirits give the player plenty of options! It opens up infinite possibilities in a series that's full of crazy stuff to begin with. @ReaderRagfish: I love that movie! It's underrated IMO. I dunno, the trophies were always a highlight for me in Smash, since I love collecting stuff. I hope the spirity sticker things have little trivia texts, at least. Have to say I'm really disappointed they're removing the trophies. Not only was a cool thing to try and collect and gave you an excuse you play through with every character, they were very educational. I loved finding out about obscure pieces of Nintendo's history, or what certain items were actually from or about games I've never played or heard of. This spirit system looks cool but I wish they had trophies too. I'm the same as everyone else it seems. I was starting to feel less excited about the game until they revealed World of Light. If it was just a purely multiplayer focused game that would've killed any buzz for me. @Baker1000 I mean, I bet there will still be some sort of gallery to view your collected spirits and such, probably with a short description. I honestly think he just went with this so they could do 2D models instead of 3D models...less effort that way. head hurts, I thought Smash Bros was originally designed to be pick up and play so that anyone could enjoy without the need for complicated combo/move sets/extras? no trophies = no buy. and spirits are just stickers. and they don't even seem to have descriptions. bah. I loved collecting trophies. I will love collecting Spirits, especially if there is some kind of gallary. If there is a gallary with little write ups for each spirit, it is practically the same as trophies. So sad they’ve gotten rid of trophies. It was like a Nintendo museum. Trophies don't was that interesting. The spirits are more interesting. Will allow a bigger number of characters, the idea of they look cards is cool, and all they will have a use. I was hoping Ultimate would have different variations of the fighters like in Mortal Kombat X where we could have a "Smash Luigi" with his standard specials, a "Jumper Luigi" with specials based on his platforming, and a "Haunted Luigi" with specials based on his Luigi's Mansion games. But, Spirits is intriguing enough where I'm not all too disappointed. @Verg I mean, yeah, it's cool and all, but honestly, the amount of work it takes for such a trophy to be made is inhuman. My friend who likes building things in clay and other materials and then 3D-animating them says the process from after he knows exactly what has to be done could take him as a single person up to 4 months. For one item/character. I know they've got a lot of people on their team, but even with that, imagine how many resources they'd have to devote to it haha. I think it's a small loss for keeping the actual things we'll be doing while playing top notch. Especially since spirits are sorta collectible, and beating another player also collects their dog tag. Lots to collect, and surely it will feel nice if you get to collect a dog tag from a bigname player haha. @ReaderRagfish LoL love that movie btw. @Reigestugatensho True but his assist got upgraded. Maybe next game he will do more! @Kalmaro All they did was allow him to introduce himself to the fighters. By Shaking HIS HANDS!!!! But at least he's not just trying to high five everyone anymore with his Majin The Hand. @Reigestugatensho Now he can grab people though. Much cooler. @JayronAuron it does appear that was a corner they cut in order to ship this game so soon (relatively speaking) after the Wii U game. He still got the short end of the Fighter stick. 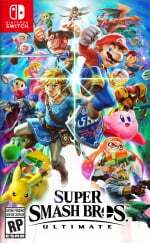 I loved the trophy system, but I can see how that's a feature that needs a whole bunch of manpower to pull off which might have threatened the planned release date of Smash well into next year, which wouldn't have sat well with Nintendo execs who were banking on Smash to be THE game for the Switch this whole year. Turning it into the spirits feature is fine with me, as long as I'm able to read about the history of each character somewhere. As for competitive balance, I figure there'd be a way to turn it off in matchmaking preferred rules for the purists out there. What would really please me would be the addition of the trophy system post-game as an update (though highly unlikely).